This year marks Keith Urban’s 14th nomination for Male Vocalist of the Year, 11th nomination in the Entertainer of the Year category, and his sixth nomination in the Album of the Year category for Graffiti U, bringing his career nominations to 45 with 11 total wins. Urban shares the nomination with the album’s producers Dan McCarroll, J.R. Rotem, Josh Kerr, Jason Evigan, Greg Wells, Benny Blanco, Ed Sheeran, Johnny McDaid, Jesse Shatkin, Jimmy Robbins, Oscar Holter, Matt Rad, Eric Valentine, Ian Kirkpatrick, Mike Elizondo, Captain Cuts, Copperman, Huff, and Peter Karlsson. Urban is the reigning Single of the Year winner for his song “Blue Ain’t Your Color,” which he also produced. 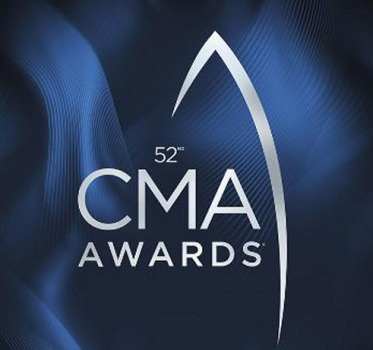 Winners of “The 52nd Annual CMA Awards” will be determined in a final round of voting by eligible voting CMA members. The third and final ballot will be emailed to CMA members Monday, Oct. 1. Voting for the CMA Awards final ballot ends Tuesday, Oct. 23 (6:00 PM/CT). All balloting is tabulated by the professional services firm Deloitte & Touche LLP.